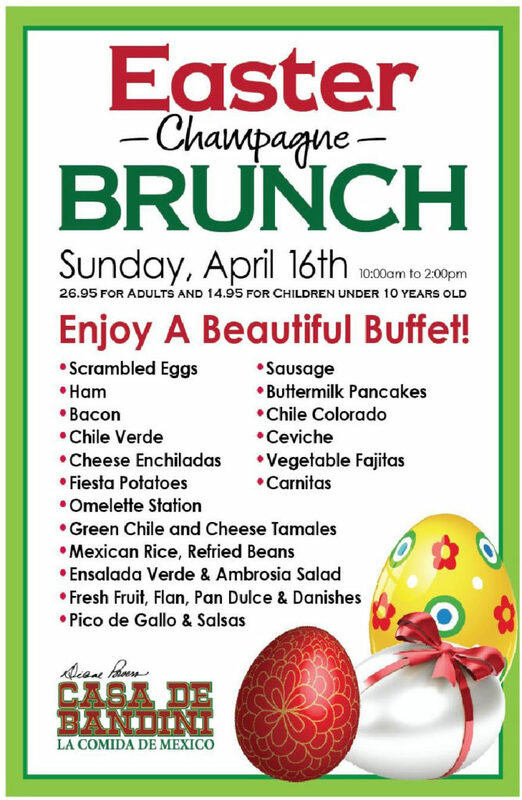 Join Casa de Bandini for Easter Brunch! 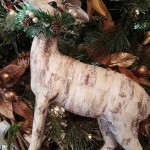 If you’ve visited Casa de Bandini lately, you may have noticed our restaurant is alive with the holiday spirit. 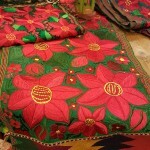 But did you know that much of our décor comes from the same artists and vendors found at Bazaar del Mundo in Old Town? 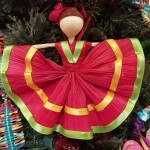 Throughout the Shops, you’ll find a large collection of wonderfully dressed Christmas trees adorned with hand-crafted ornaments, Mexican paper flowers, colorful ribbons, and – for something a little out of the ordinary – creative folk art masks, dolls and gourd ornaments. 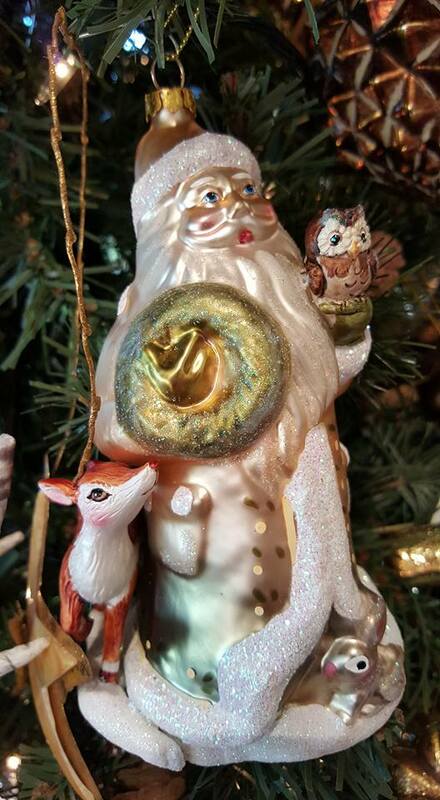 These pieces of art are stunning on a tree or as gifts! 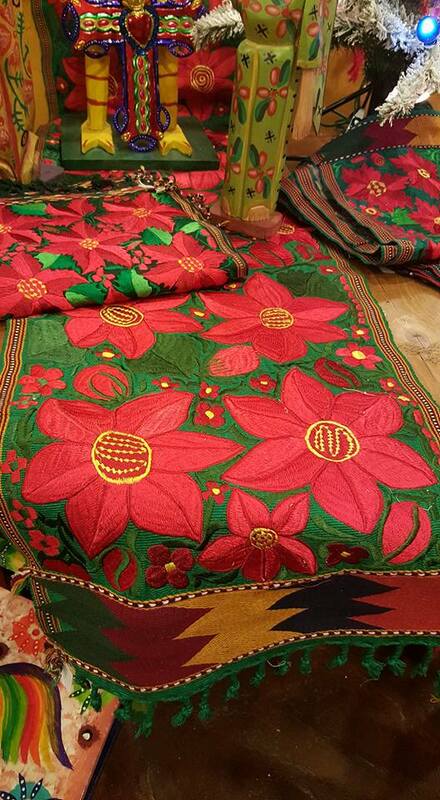 If you’re searching for holiday pieces to decorate your mantel or dining room table, Bazaar del Mundo has a wide selection of hand-carved nativities and festive poinsettia table runners that will add holiday cheer to your home. 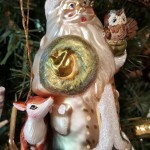 The holidays will be here before you know it! 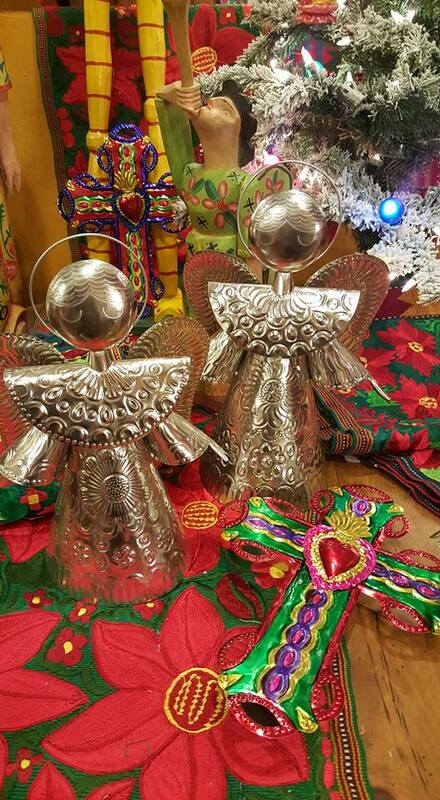 Visit Bazaar del Mundo in Old Town to find unique décor items from all over the world that will help turn your home into a holiday oasis. 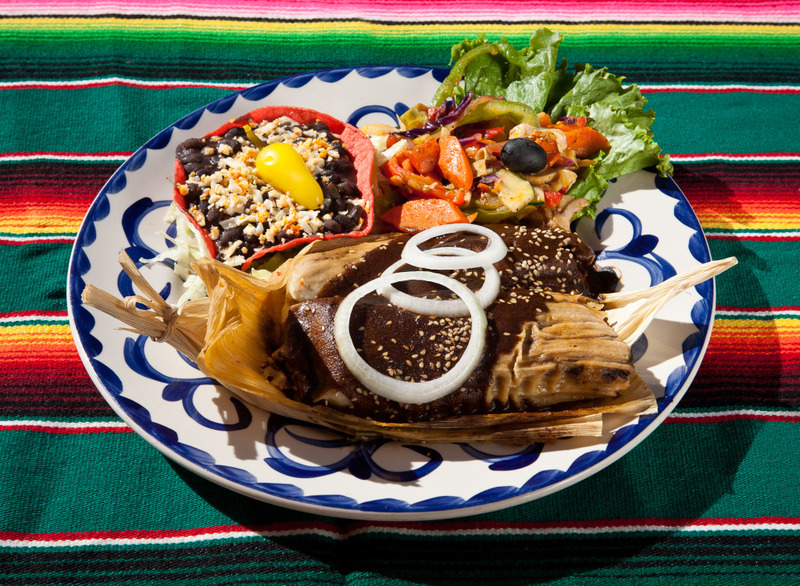 And, if you’re looking to host a holiday party at home, consider Casa de Bandini for your catering needs. We can bring the holiday fiesta to you! Visit our website or call 760-634-3443 for more information. 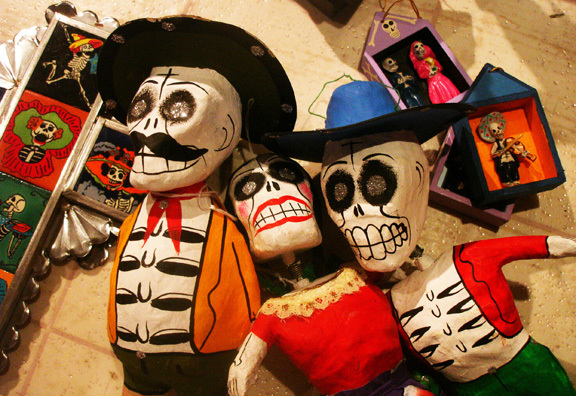 Día de los Muertos, also known as Day of the Dead, is a Mexican celebration to remember past family and loved ones. Despite its title, the celebration is a vibrant and colorful tribute to the lives of those who have passed. 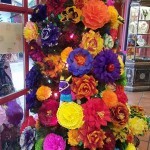 Celebrated annually on November 1 and 2, Casa de Bandini will continue the tradition of paying homage to the deceased with an elaborately decorated alter, and offer traditional Day of the Dead dishes such as Chicken Mole Enchiladas. 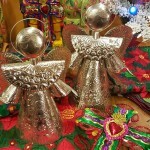 The festivities will also continue down at Bazaar del Mundo in Old Town. 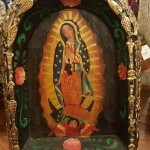 As part of the annual “Tour of Altars,” produced by the Old Town Chamber of Commerce, the Bazaar del Mundo shops will be transformed into a walkable trail of altars, complete with traditional sugar skulls, handmade papier-mâché decorations and guest artists selling Day of the Dead-themed jewelry, handbags, accessories, prints and cards to promote the holiday. Exotic sounds will be provided by Latin American folk group Tinku. Children and families can enjoy a sugar-skull decorating class on Saturday from noon to 6 p.m. and face painting both days. Hot chocolate, mini churros and coloring sheets will be available for the children, while historical handouts will be provided to adults. The event will take place Saturday, Oct. 31, from 10 a.m. to 8 p.m., and Sunday, Nov. 1, from 10 a.m. to 5 p.m. On Monday, Nov. 2, the Bazaar del Mundo Shops will highlight its alters and offer treats and children’s crafts through closing at 5:30 p.m. 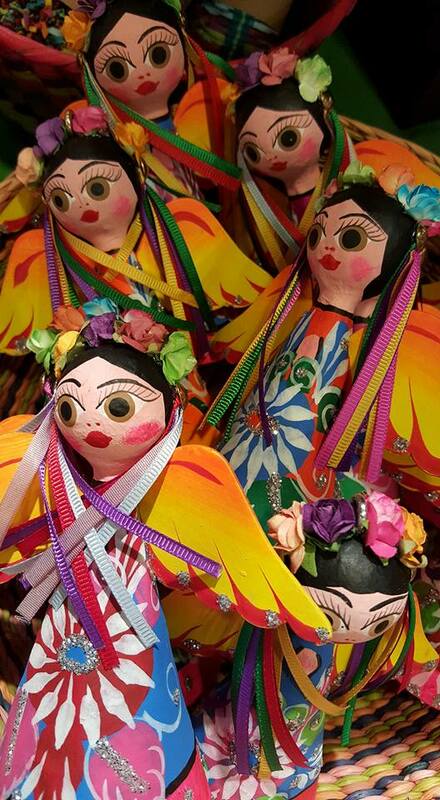 The event is in conjunction with Old Town’s Día de Los Muertos three-day event, from 2 to 9 p.m. Oct. 31 to Nov. 2, which includes “Tour of Altars,” a candlelight procession, face painting and mask decorating throughout Old Town at participating sites. Mother’s Day is just around the corner! Why not show mom a little shopping-spree lovin’ to make her feel extra special this year? 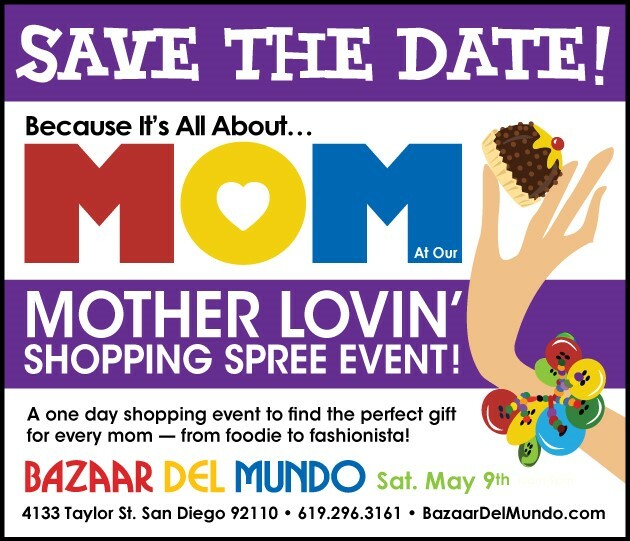 Diane Powers invites all mothers to come spoil themselves, while dads and kids shop for the perfect present, at the Bazaar del Mundo Shops in Old Town for a “Mother Lovin’ Shopping Spree,” May 9, 10 a.m. to 9 p.m. Whether she’s a fashionista, foodie, free spirit, or a little bit of it all, this Mother’s Day shopping party will host artists creating special gifts fitting the taste of all kinds of mothers. From themed cookbooks to handcrafted necklaces, there is sure to be the perfect gift for every mom. 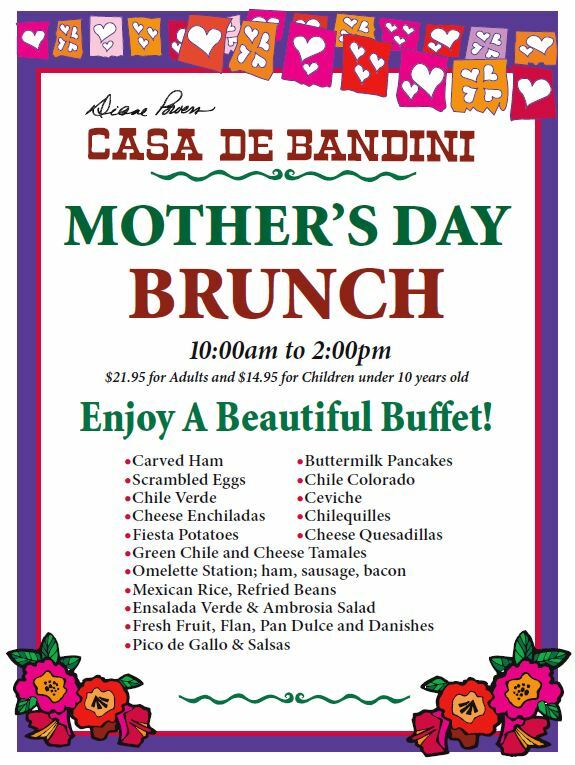 And to say “Thank you!” for all those delicious home-cooked meals, treat mom to Mother’s Day brunch at Casa de Bandini on Sunday, May 10. Between the gifts and a well-deserved birdbath margarita, she’ll be smiling for weeks to come! Serving up festive fare and classic cocktails with a twist, Diane Powers’ award-winning Bazaar del Mundo restaurants – Casa de Bandini, Casa Guadalajara, Casa de Pico and Casa Sol y Mar – now present a unique menu that incorporates traditional holiday flavors into authentic Mexican offerings, available through the New Year. 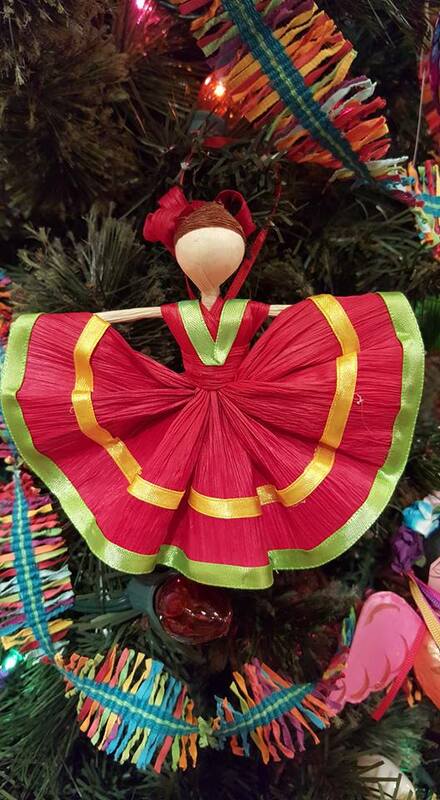 The restaurants are beautifully decorated for holiday cheer with colorful Christmas trees dressed in handmade Mexican ornaments, Mexican paper flowers, donkey, bull and horse piñatas, painted tin ornaments, and lighted chili ristras. Strolling mariachis add to each restaurant’s cheerful ambiance. 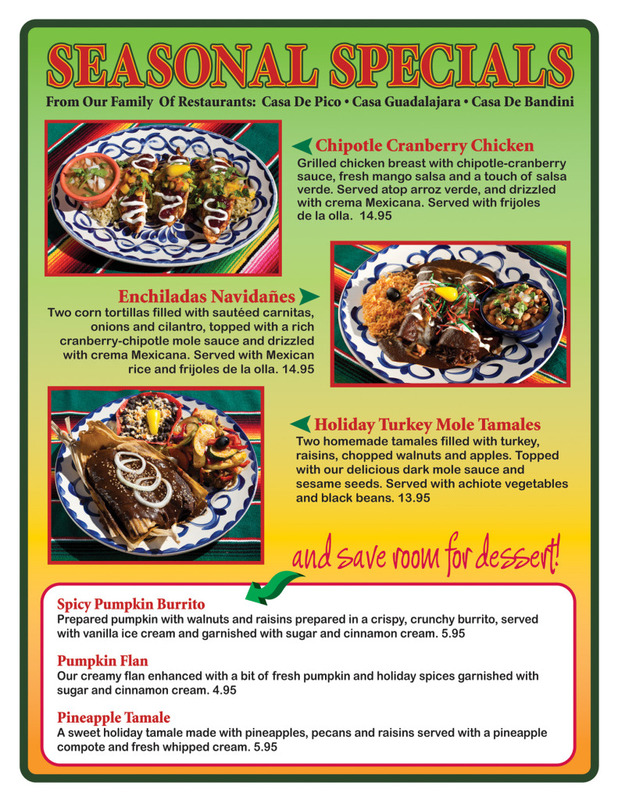 Seasonal entrees featured are Enchiladas Navidañes, Chipotle Cranberry Chicken and Holiday Turkey Mole Tamales. Through December 15, guests can buy a $50 gift card at any of the restaurants and receive a free $10 gift card; a $25 free gift card comes with the purchase of a $100 gift card. All the Bazaar del Mundo Restaurants present a beautiful environment for family or corporate parties, especially while splendidly decorated for the season. Catering is also available. On the busiest shopping weekend of the year, American Express is reminding us to shop and dine locally with its Small Business Saturday campaign. While you’re out shopping the sales at The Forum, take a break and join us at Casa de Bandini to sip a frosty margarita and try one of our new healthy dining creations, like Ensalada Chef Ignacio – grilled chicken, avocado slices, tomatoes, queso Oaxaca and thin red onion, served with spicy chipotle light ranch dressing (510 calories). 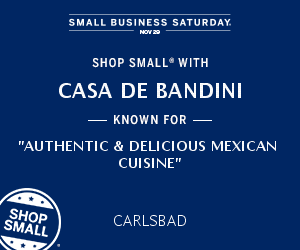 When you eat at Casa de Bandini, know that you are supporting a local business in your community. Small Business Saturday is a national campaign that rewards American Express users when they shop and dine at local businesses, making a contribution back to their communities. AmEx users who have pre-registered their card, will receive a credit back on their statement up to $30. For more info about the campaign, visit: www.smallbusinesssaturday.com. 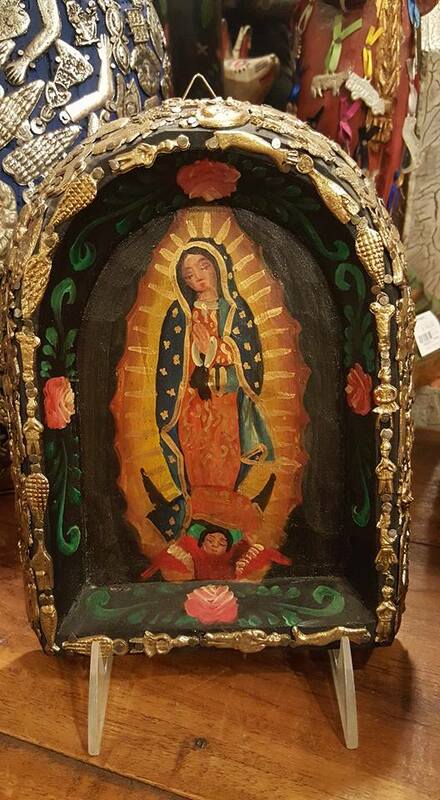 Come See Casa de Bandini’s Altar for Día de los Muertos! 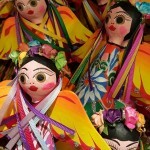 Día de los Muertos is a joyous festival when the memory of loved ones and the continuity of life are celebrated. Traditionally, altars are set up that include favorite items of the departed, such as drinks and food. Special skull-shaped candies and breads are also prepared for the occasion. 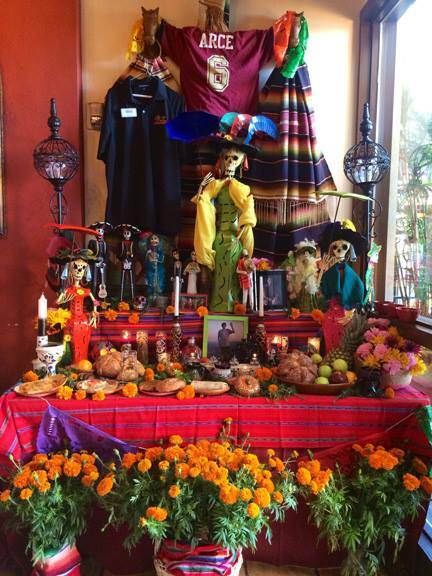 Come see our Day of the Dead altar at Casa de Bandini in Carlsbad! 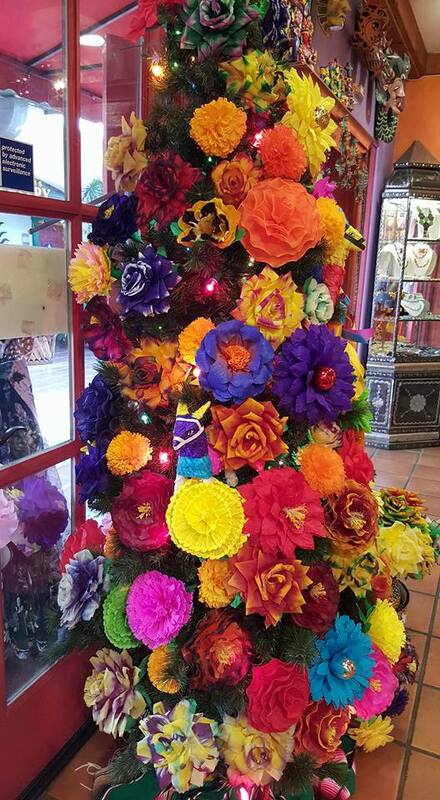 Join us for lunch or dinner then take a trip to Old Town to continue the festivities at Bazaar del Mundo, where they will be celebrating the occasion with more elaborately decorated altars, sugar-skull decorating and face painting. 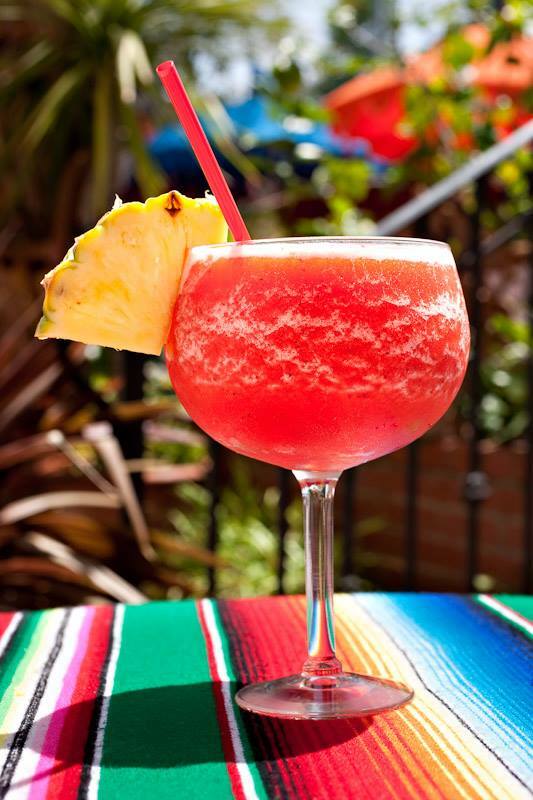 Today only, enjoy one of our traditional house margaritas made any style, any flavor or any size or our special Hand-Shaken Partida Tequila Margarita for an additional $2.00 Off! Viva La Margarita and Viva Casa de Bandini!